Garbe Industrial Real Estate GmbH expands into Austria. At the industrial site of Steyr, south of Linz, the Hamburg-based project developer has acquired a 42,000-square-metre developable property on which a 20,500-square-metre logistics facility is to be built. This is the first project development realized by Garbe Industrial Real Estate in Austria. Construction will start in July. Completion is scheduled for June 2019. 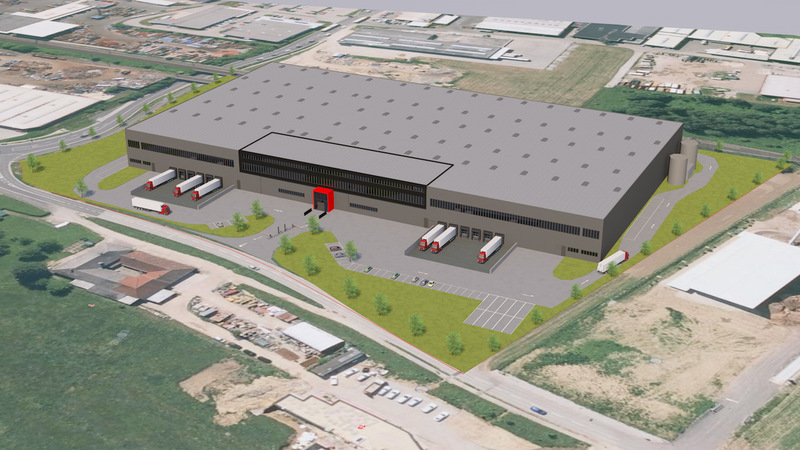 Garbe Industrial Real Estate is investing 18 million euros in the project. The facility will consist of a 20,000-square-metre hall, which will be particularly suitable for contract logistics services. It will be equipped with 20 rear-unloading gates and ten high-speed doors for side unloading. There will also be around 500 square metres of office space. Parking spaces for 91 cars and 15 trucks will be created on the outdoor grounds. The entire object will be designed for flexible use. Subdivision into 5,000 square metres will be an option. The transport infrastructure also played a role in the location decision. The A 1 motorway, which connects Linz with Vienna, can be reached via several federal and provincial roads. In addition, the property has a siding that can be activated and expanded, if required.